We would like to congratulate our first Double certificant! Jane Marlow is now both CPBT-KA and CPAT-KA. Congrats Jane way to raise the bar! IATCB would like to encourage you to become certified. 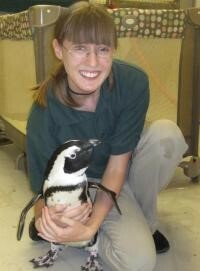 The registration for both the Bird and Animal trainer’s certification starts in January! Don’t forget to register and start studying! Click here: http://ptcny.com/clients/iatcb/ and download the handbook, it contains the study guide! The credentialsare valid for 5 years from the date they are awarded. To renew the credential a certificant must either re-take the examination after 5 years or accumulate sixty Continuing Education Credits (CEUs) by attending IATCB approved workshops, seminars, classes, or conferences. Head over to http://www.iatcb.com/staying-certified/ceu-events to check out a list of approved CEUs! Ever wonder what it’s like to work with 62 flighted macaws? The following link discusses how Natura Encounters, Inc. used positive and differential reinforcement to overcome challenges encountered during the management and daily care of their birds. Thank you Lisa Haggadone CPBT-KA for sharing this paper! Augur buzzards are one of the most numerous types of hawks in Africa. They are found in forest, rocky areas (eg. inland cliffs, mountain peaks), Savanna, desert, and shrub land. Augur buzzards are members of the Buteo genus, a group of hawks found all over the world and known for their broad wings, relatively short tails, and the ability to soar for long periods of time. 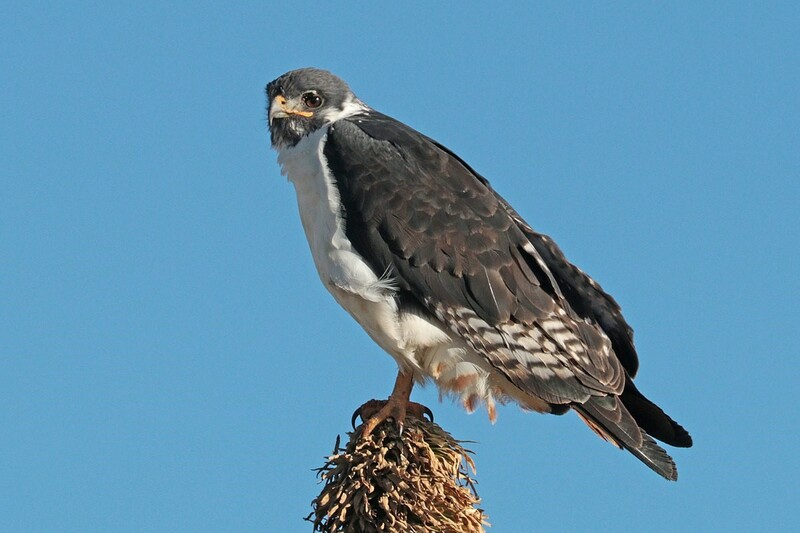 Like all hawks, Augur buzzards are strict carnivores and actively hunt a variety of animals, particularly reptiles. Augur buzzards come in two color phases -- dark and light. Dark individuals are uniformly chocolate brown, while light phase birds have a dark hood and back with a bright white chest and stomach. Both color phases have a rusty, brick-red tail, yellow legs, and dark eyes. In the Americas, the term "buzzard" generally refers to vultures, but in the Old World, the word's original meaning was "hawk". IUCN has them listed as Least Concern as the population is suspected to be stable in the absence of evidence for any declines or substantial threats.